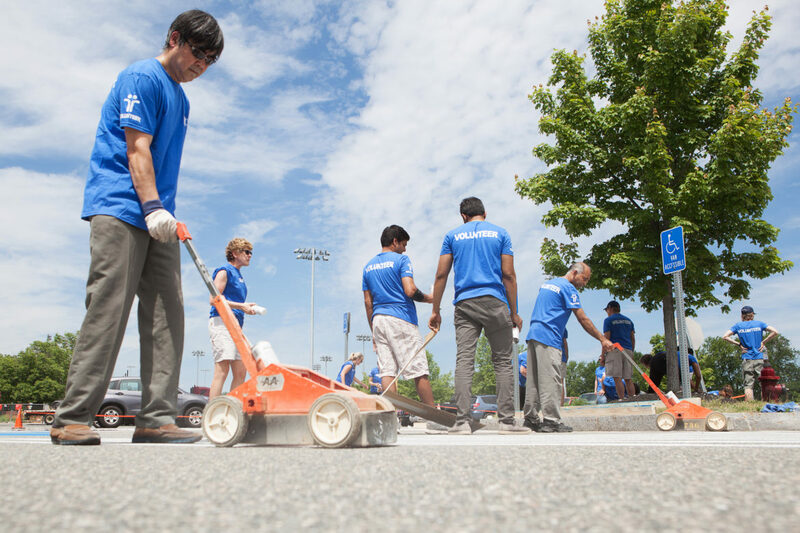 Tufts sent 50 volunteers to work on landscaping projects at the Dimock Center in Roxbury. More than 325 employees from Tufts Health Plan spent the day volunteering with community organizations throughout the Greater Boston area, this week, completing more than 900 hours of service in one day. Volunteer Day is one way Tufts Health Plan demonstrates its commitment to community, inviting all employees to spend the day in service with and for community organizations, according to Tufts Health Plan. It was a beautiful day – and so rewarding to learn more about the great work of our community partners. Nearly 40 volunteers spent the morning building ramps and striping the Community Rowing parking lot to make it possible for rowers with disabilities to access the water. Another project during the Tufts Health Plan volunteer day was building ramps and and striping the lot at Community Rowing in Brighton. 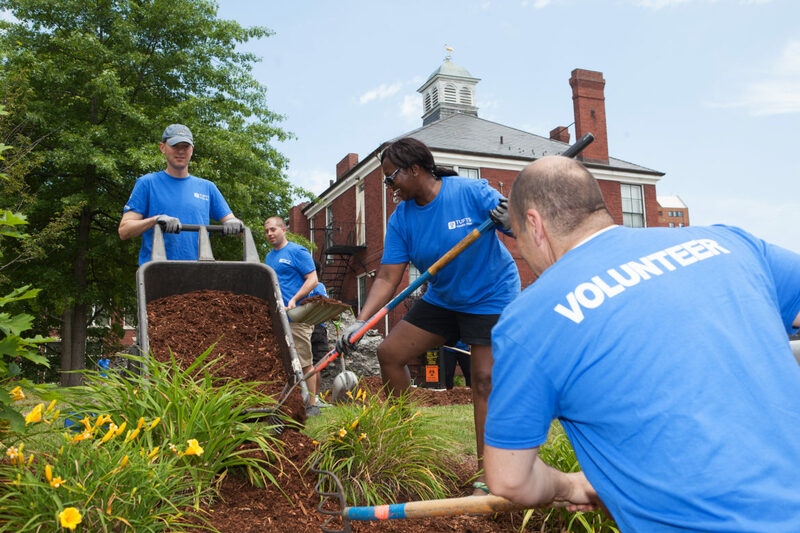 More than 50 volunteers tackled landscaping projects at the Dimock Center in Roxbury, spreading more than 20 yards of mulch and planting more than nine dozen annuals and perennials to beautify the grounds. Almost 60 volunteers spent the morning at the Greater Boston Food Bank; They packaged 15,066 pounds of food which will provide over 12,100 meals.